It's going to be a new dawn in Delta State as the gubernatorial elections were concluded yesterday after so much drama. The shape and character of the 2015 general election got clearer on Monday with the emergence of Peoples Democratic Party (PDP) governorship candidates in most of the states across the country. In a few other states, the results were not ready as at the time of going to the press last night. Some notable political and sometimes controversial figures emerged yesterday in some states. While some of themfulfilled political predictions, some others sprang a surprise by upturning book predictions. 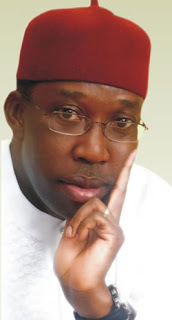 In Delta State for instance, political pundits were taken aback with the emergence of Dr. Ifeanyi Okowa, a serving Senator, against the system support for Chief David Edevbie and Mr. Tony Obuh. In Rivers, not many were surprised that controversial former Minister of State for Education, Chief Nyesom Wike emerged as the PDP gubernatorial candidate. In most other states, aspirants supported by state governors emerged as the party's candidates. Governor Ibrahim Hassan Dankwambo of Gombe State yesterday got overwhelming votes from PDP delegates to fly the flag of the party in the 2015 governorship election in the state. The governor who got 492 affirmative votes since he was the sole candidate, promised to continue with the delivery of the dividends of democracy and the good ideology of the PDP. Announcing the result of the primary election, chairman of the electoral committee and former Speaker of the House of Representatives, Hon. Ghali Umar Na’Abba, stated that out of the 504 registered delegates, four of them were absent while eight votes were voided. He therefore returned Governor Ibrahim Hassan Dankwambo as the party’s standard-bearer for the 2015 governorship election in Gombe State. 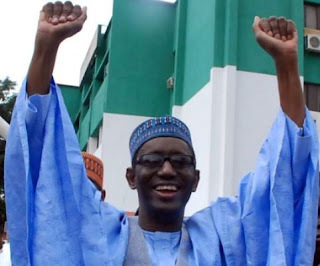 Former Chairman of the Economic and Financial Crimes Commission (EFCC), Mallam Nuhu Ribadu has won the PDP governorship ticket for Adamawa State. Ribadu, who contested against the governor, Bala James Ngilari; son of the former PDP National Chairman, Awwal Tukur, former governorship candidate of the defunct Action Congress of Nigeria (ACN) in 2011, Dr. Marcus Gundiri, former Executive Secretary of Universal Basic Education Commission (UBEC), Dr. Ahmed Modibbo and General Aliyu Kama, scored a total of 688 votes to clinch the party's ticket. Gundiri got 33, while Ngilari had 26 and Tukur scored 25. The least figure of three votes went to Kama. Two votes were declared invalid. In his acceptance speech, the former EFCC chairman extended hands of fellowship to all aspirants and promised to bring his anti-corruption stance to bear in all facet of governance if elected Adamawa governor in 2015. True to expectation, the immediate past Secretary to Akwa Ibom State government, Mr. Udom Gabriel Emmanuel, has emerged the winner of the PDP governorship primaries in the state. The exercise, which took place inside the main bowl of the nest of champions stadium in Uyo, saw Mr. Emmanuel sweeping more than 98% of the total votes cast by the delegates. There were 25 aspirants, including a woman and senator representing Eket Senatorial district of the state, Mrs Helen Esuene, who took part in the exercise. Addressing the congress, the Returning Officer, Prince Bola Oyebowale announced that a total of 1,360 delegates were accredited for the primaries. Despite the objection raised by some aspirants, the exercise went on, as the electoral panel returning officer Mr. Oyebowale and the state chairman of the party Paul Ekpo, advised the aggrieved aspirants to register their protests with the electoral appeal panel as stipulated in the constitution of the party. The anxiety over the possible outcome of the governorship primary election of the PDP in Abia State ended with Dr Okezie Victor Ikpeazu defeating seven other aspirants to emerge the standard-bearer of the party. He polled 487 votes or 76 per Former Labour and Productivity Minister, Chief Emeka Wogu, got 33 votes to place third while former Deputy Governor, Chief Acho Nwakanma and Mr. Friday Nwosu got five votes each. The former boss of defunct Hall Mark Bank, Marc Wabara, and Ambassador Okey Emuchay also ended the race on equal footing with each of them scoring three votes while Chief Iheanacho Orji got only one vote. In declaring Ikpeazu the winner of the race, the chairman of the primary election committee, Hon (Dr) Angela Mba, who also doubles as the returning officer, said Ikpeazu had satisfied all the stated conditions. The victory of Ikpeazu, a scientist by training and former Deputy General Manager of Abia State Environmental Protection Agency (ASEPA), was a triumph for Governor Theodore Orji and the state leadership of the PDP in their resolve to ensure that power must shift to Abia South come 2015. Former Senate Leader Teslim Folarin in Ibadan emerged the PDP candidate in Oyo State in the primary election. But the outcome of the exercise is being contested by another aspirant, Seyi Makinde, who stayed away. .
A total of 211 delegates voted in the primary with Folarin having 167 votes. A former governor of the state, Adebayo Alao-Akala, who also stayed away from the exercise, had two votes while Alhaji Hazeem Gbolarumi, a former deputy governor to Alao-Akala, had 12 votes. However, Alao-Akala, who addressed his supporters in Ogbomoso while the primary was going on in Ibadan said he was still in the race for the governorship election and that he would announce his next political move soon. Still in Oyo State, former Governor Rashidi Ladoja, was confirmed the governorship candidate of Accord Party in the forthcoming gubernatorial election. In what was a mere affirmation of his candidature rather than contest, Ladoja polled 1,692 votes to emerge winner in a race where he had no opponent. During his acceptance speech, Ladoja said his emergence marked the beginning of a big struggle that would end with the 2015 elections. While canvassing for the support of the people of the state, Ladoja said having been a former governor, his vision was clear on what the needs of the people were. “We have done it before and we will do it again. The people of this state are waiting for us because AP is the party to beat in the state. It is not for nothing that we are the darling of traders, students, teachers and everybody, this is because of the good work we have always done,” he added. A mild disagreement has ensued over the result of the just concluded National Assembly primaries in some federal constituencies of Benue State . In the Obi/Oju National Assembly election, the incumbent, Mr. Samson Ukwu, who was announced victorious in the election, was however announced to have lost the election to Nick Eworo. But yet in another counter announcement on a radio station in the state, Okwu was declared winner of the poll by the returning officers in the election. Also, the federal lawmaker representing Ado/Ogbadibo/Okpokwu federal constituency at the National Assembly, Mr. Hassan Saleh, and his counterparts from Gwer/Gwer West, Mrs. Christie Alaaga, and Benjamin Aboho of Kwande/Ushongo constituency lost out at Saturday's PDP primaries in Benue State. The three who were the major casualties of the primaries in the state, lost out to Chris Abah, John Tion and Bob Tyough. Among the casualties were the immediate past Media Adviser to the Governor, Dr. Cletus Akwaya, who lost the race for the Vandeikya/Konshisha seat to former Commissioner for Works, Mrs. Mnena Shija. While at the Gboko/Tarka constituency, Mr. Bernard Nenge was unanimously elected by delegates. In the meantime, only three incumbent members from the state secured the ticket of the PDP. They include Adamu Atonu of Apa/Agatu, Ezekiel Adaji of Otukpo/Ohimini and Emmanuel Udende of Logo/Ukum/Katsina-Ala federal constituencies. Reacting to the outcome of the primaries, Abah attributed his victory to the handiwork of God and the will of the people. "It is only God who used my people to make this a reality; it is a victory for the people," he said. Seven National Assembly aspirants from Adamawa State have petitioned the PDP and the Independent National Electoral Commission (INEC) over the change of venue of the party's primary election from Yola, Adamawa State to Abuja. This is coming as the party's National Working Committee (NWC) has cancelled the outcome of the governorship primary election in the state, explaining that it did not authorise the conduct of the election. In a petition signed by Senator Grace Bent, Hon. Aisharu Dahiru Ahmed, Elisha Ishiaku and Patricia Bonos for the senatorial aspirants and Commander Usuman Sali Bodes, Alhaji Tijjani Kwaghe and Dr. Mustapha Saidu, they kicked against the conduct of the Adamawa State National Assembly in Abuja instead of Yola, stating that it is against the party's constitution to move the primary election venue of the to another place. In the petition made available to THISDAY, they said: "We humbly write to lay complaints on the illegal and improper conduct of Senate and House of Representatives primaries for Adamawa Senatorial Districts and House of Representatives constituencies held to elect the flag bearers of our great party for the forthcoming 2015 general elections. The aspirants said it is perhaps apt to state that the irregularities and flagrant breaches are too obvious and overwhelming to be brushed aside and/or trivialised. According to them, "Whereas, the desperation of those elements and their anointed candidates is obvious from these infractions, we nevertheless trust in the chairman's ability to intervene and ensure congresses are done in a free, fair manner and in accordance with the guidelines. The pronouncement of the final result of the Lagos State Peoples Democratic Party (PDP) governorship primaries, led to violent protest among party supporters. Though had been heated contention over discrepancy in the number of accredited delegate (803) and total number of votes cast (856), at the end of the election Jimi Agbaje, was declared winner of the keenly contested election. The chairman, Lagos PDP governorship electoral committee, Senator Saidu, Umar Kumo said: "I hereby declare Mr Jimi Agbaje as the candidate of the PDP for the 2015 governorship elections." Agbaje polled 434 votes to go ahead of the immediate past Minister of State for Defence, Senator Musiliu Obanikoro who polled 346 while Mr. Tokunbo Kamson polled 46. Other aspirants as Engineer Deji Doherty, Mr Babatunde Gbadamosi polled 21 votes respectively. Delta State Governor, Dr. Emmanuel Uduaghan has congratulated Dr. Ifeanyi Okowa on his victory at the PDP governorship primaries. 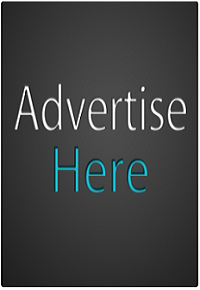 Uduaghan in a press statement issued by his Chief Press Secretary, Mr. Sunny Ogefere, described the victory of Okowa who polled 406 votes to beat his closest rival, Chief David Edebvie, who scored 299 votes, as well deserving. Uduaghan, who is the leader of the PDP in the state , charged Okowa to demonstrate the spirit of sportsmanship by quickly extending a hand of fellowship to other contestants. He also called on the other aspirants to note that the exercise was a family contest where there was no winner no loser, urging them to join hands with Okowa in positioning the party for victory at the general election. A former Minister of State for Education, Chief Nyesom Wike, has been elected the PDP governorship candidate for Rivers State. At the primary held at Community Secondary School, Nkpolu-Oroworukwu, Wike polled 1,083 out of the total 1,108 votes cast in the election in which 24 aspirants were cleared to contest. But his victory has been pooh-poohed by a league of disenchanted aspirants who have described the exercise as a sham. Dumbari Dimkpa got 21 votes, Ibinabo Michael-West 3 votes, while Senator Lee Maeba and Mr. Emmanuel Georgewill got one vote each. Of the 24 aspirants cleared for the primary election, only seven were at the election venue while 17 stayed away. Those sighted at the venue included Wike, Michael-West, maeba, Georgewill, Atamuno Ajiba Atamuno, Dimkpa and Sunday Nwankwo. Most of the aspirants under the umbrella of Rivers Mainstream Coalition did not attend the primary election. These include Prince Tonye Princewill, Dumo Lulu-Briggs, Bekinbo Dagogo-Jack, Lancelot Inyanya, Nimi Walson-Jack, Gabriel Pidomson and Sylva Opusunju, among others. In his acceptance speech, Wike thanked members of the party for the mantle entrusted on him and called on those who contested against him to join hands to ensure that the PDP won all elections in the state. He said: “I am deeply humbled and elevated by the electoral success achieved today at this state congress of our great party, the Peoples Democratic Party (PDP). It is unique and special that you have found us worthy to be entrusted with the enormous responsibility of flying the flag of the party by electing me governorship candidate in the 2015 elections in Rivers State." Wike declared that the PDP was ready to reclaim the Brick House, which he said was taken away by the governor of the All Progressives Congress (APC). In a statement issued by the spokesman of the coalition, Sotonye Ijuye-Dagogo, it said: “Rivers Mainstream Coalition condemns the show of shame called the Rivers PDP governorship p rimaries. Deputy Governor of Ebonyi State, Mr. Dave Umahi, has emerged the PDP governorship candidate in the state. It is about the first time a deputy will be emerging to succeed his principal in the present rounds of contests. Umahi won the governorship ticket of the ruling party with 541 out of 596 votes cast. The event, which held at the Abakaliki Township Stadium, was supervised by the head of the electoral panel, Governor Ayodele Fayose of Ekiti State, under tight security. The seven other aspirants are Senator Igwe Nwagu, Chief Aja Nwachukwu, Mr. Paul Okorie, Senator Ofia Nwali, Chief Hyacinth Ikpor, Chief Udeh Umanta and the winner, Umahi,. The state governor, Chief Martin Elechi, and former Minister of Health, Professor Onyebuchi Chukwu, boycotted the election. However, the announcement of the result threw the state into jubilation with Umahi, accompanied by a convoy of stakeholders in the state including former Governor Sam Egwu driving round the Abakaliki city centre. The three-term member of the House of Representatives, Ifeanyi Ugwuanyi, who had earlier been endorsed by the party as its consensus candidate, won the gubernatorial primary of the PDP in Enugu State. He scored 933 votes to defeat his closest rival, the Speaker of the state House of Assembly, Eugene Odoh, who got 26. The primaries, which took place at the Nnamdi Azikiwe Stadium saw only two of the seven aspirants, Ugwuanyi and Enugu Assembly Speaker, Eugene Odoh, participating. Two others: Chinedu Onu and Anayo Onwuegbu, stepped down for Ugwuanyi, but the exercise nonetheless attracted all the stakeholders in the state politics including former Senate President Ken Nnamani, former National Chairman of the PDP, Dr. Okwesilieze Nwodo, and members of the national and state assemblies, among others. The two gladiators in the state politics, Governor Sullivan Chime and the Deputy Senate President Ike Ekweremadu also took part in the exercise. Meanwhile, one of the aspirants and the chairman of the Senate Committee on Works, Senator Ayogu Eze, was said to have declared himself as the winner of the primary election. The senator was said to have gathered some party members in one of the hotels within the metropolis where he reportedly announced himself the winner even when the process was still ongoing at the stadium. Hon. Umar Mohammed Nasko was declared the winner of the governorship primaries in Niger State, having polled 908 votes while Hanafi Sudan got 57 votes and the Deputy Governor, Hon. Ahmed Musa Ibeto, got 34 votes. But other governorship aspirants in the party have rejected the result of the governorship primary election, describing it as a kangaroo process. In a joint press conference at the IBB pen house in Minna yestetday, five out of the seven aspirants that contested for the primary election rejected the result. According to the spokesman of the group, Mr. Mustapha Bello, the process that gave former Chief of Staff to the Governor, Nasko, victory contradicted guidelines. "The primary election was not conducted in line with party guidelines. It can best be described as a charade and a kangaroo process because there were a lot of violations to the laid down rules by the constitution of the party,” the aspirants said. The senator representing Plateau North zone, Gyang Pwajok, got an overwhelming victory over other opponents in the PDP gubernatorial primaries in Plateau State polling 435 votes, against his closest opponent, the Deputy Governor of the state, Ignatius Longjan, with 163 votes, while Senator Victor Lar polled 109 votes. He was subsequently declared winner by the Chairman PDP panel to the state, Alhaji Abdullahi Ohioma. In his acceptance remarks, Pwajok said it could only have been God that made it possible. While thanking the delegates for the massive support, he admonished them against religious and ethnic divide, asking all to put heads together for the Plateau project. Initially, there was a serious fracas just before the commencement of voting in Plateau Stategovernorship primaries yesterday. The agents of some aspirants protested that labels bearing each local governments name be removed from the ballot boxes. They explained that some local delegates were under threat from the state government that if they don't vote for government's aspirant they would be dealt with alongside their council chairmen. Eventually, the chairman of the electoral panel, Alhaji Abdulahi Ohioma ruled that all the labels from the ballot boxes be removed. The labels were immediately removed and the election started with Wase local government delegates. With over 3,000 security agents guarding the exercise in Kwara State, there was an unmistakable air of war around the venue of the party’s primaries in the state. No fewer than 13 governorship aspirants participated in the primaries. The security agencies, according to THISDAY checks, which consisted of men of the Nigeria Police Force, Nigerian Army, Air Force, State Security Service among others, were at both the venue of the accreditation and voting centres in Ilorin so as to maintain law and order. It was gathered that after the delegates were accredited, a bus was used to convey them to the venue of the voting centre located at an event centre, Ilorin. Speaking with journalists in Ilorin yesterday, the state police commissioner, Alhaji Salihu Garba, lauded the peaceful accreditation of the delegates. He said he hoped it would continue till the end of the exercise. 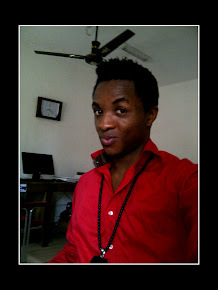 Garba said: "People should be orderly and see themselves as leaders. Somebody who wants to govern the state would not encourage thuggery, they should not encourage rancour. The state is bigger than individuals". Also speaking on the primary election, the state chairman of the PDP, Hon. Iyiola Oyedepo debunked the alleged manipulations of delegates' lists for the primary. The outcome of the exercise was not yet known at the time of filing this report. Sokoto State Governor, Aliyu Wamakko, emerged the consensus candidate of the All Progressives Congress (APC) for Sokoto Central Senatorial District. Wamakko scored 2,372 votes to emerge the candidate of the APC for the Sokoto Central zone. Declaring the result at the Trade Fair Complex, Sokoto, the Chairman of the Electoral Panel, Alhaji Nasiru Bako, said Wamakko emerged the APC senatorial candidate after scoring 2,372 votes, while 60 delegates were absent during the election. He described the election as peaceful and commended the delegates for the way they conducted themselves in an orderly manner during the exercise. "I promise to use my wealth of experience garnered over the years to give a fair representation to my senatorial zone," Wamakko said. In the same vein, incumbent Senators Ibrahim Abdullahi Gobir and Ibrahim Danbaba emerged the consensus candidates for Sokoto East and Sokoto South Senatorial districts. Meanwhile, the PDP was yet to commence voting for its governorship primary election at the Giginya Memorial Stadium as at 6pm. THISDAY gathered that the PDP was yet to conclude accreditation for 989 delegates from the 23 local government areas at the time of filing the report. Sokoto State Deputy Governor and a PDP governorship aspirant, Alhaji Mukhtari Shagari, Monday objected to the conduct the governorship primary election alleging irregularities. This is just as former Minister of Transport and a governorship aspirant, Alhaji Yusuf Suleiman, also boycotted the election, describing the process as a sham. THISDAY gathered that Shagari had accosted the Chairman of the Electoral Panel, Senator Umar Dukku, expressing indignation over the plan by the Panel to direct the commencement of voting by 10pm. Kaduna State Governor, Mukhtar Ramallan Yero emerged as the PDP standard-bearer in the 2015 gubernatorial election in the state. The governor polled 970 of the 1,072 votes cast to beat his only contender, Azeez Zego, who polled one vote while there was one invalid vote. At exactly 4:45pm, the Electoral Committee Chairman and Minister of Niger Delta Affairs, Steve Oru, announced the close of the election and sorting of the votes commenced with the names of the governor dominating. Before the accreditation of delegates, the Electoral Committee chairman announced that three aspirants in the race, Alhaji Lawal Abdullahi Yakawada, a former Secretary to the State Government, former Minister of Aviation, Felix Hassan Hyat, and a retired Air Force Officer, Air Commodore John Ajei, withdrew from the race. The race was then open to the governor and a one-time senator, Zego, who was the consensus candidate of the Southern Kaduna elders. With this, the electoral chairman declared the govrnor the winner of the contest. An elated Yero thanked God for giving him the opportunity to witness the election. Former Special Adviser to former Governor Bukola Saraki of Kwara state, Alhaji Yinka Aluko, has emerged as the Kwara central senatorial candidate of Peoples Democratic Party (PDP) for next year's National Assembly elections in the state. Aluko polled 83 votes to defeat his closest rival, Abdulrahaman Abdulrasaq, while Princess Bilikisu Gambari came third with five votes. Also yesterday, the Chairman, Senate Committee on Environment and Ecology, Senator Bukola Saraki, emerged unopposed with 1,540 votes at the All Progressives Congress (APC), primaries held in Ilorin, the state capital. Aluko and Saraki will now slug it out at the February next year National Assembly elections for Kwara central senatorial district of the state. Saraki described Aluko as a nobody, even as he mocked the PDP for his emergence. He told his supporters in Youruba that: "if Aluko who was a product of the Saraki's political dynasty could beat other candidates to emerge, that shows that those in the PDP lack political relevance". The leader of the APC in the state advised his supporters to go back to their various wards and mobilise support to ensure a victory for the party in the 2015 general election. Chairman of the APC senatorial primaries in the state, Mr. Harry Mosunmola Osha, had declared Saraki the party's candidate having scored 1,540 votes out of the total 1,545 votes cast. He said five votes were invalid. Meanwhile, delegates of the PDP for Kwara North senatorial district primary election has elected Hon. Yinusa Yahaya as its candidate by defeating Alhaji Manzuma Mammah with 108 votes to 101. For the Kwara South senatorial district, Mr. Lola Ashiru was declared winner with 132 votes. He defeated other aspirants like Alhaji Bashir Oni (16 votes), Prince Sola Adedoyin (11 votes) and Yekeen Alabi (64 votes). Despite directives from the National Working Committee (NWC) of the PDP not to conduct governorship primaries in Ogun State, the state chapter of the party went ahead to conduct the election to elect former governorship candidate of the Peoples Party of Nigeria in the 2011 election, Prince Gboyega Nasir Isiaka, as its standard-bearer for next year's poll. The NWC of the party had directed that no governorship primary election should hold in the state. The party in a statement issued by its National Publicity Secretary, Chief Olisa Metuh, in Abuja yesterday said that the primary was not authorised. While disobeying the order, the state chapter of the party commenced voting around 3pm amidst tight security. The election witnessed attendance of Independent National Electoral Commission (INEC) officials. However, the eight aspirants who boycotted the Ogun PDP governorship primaries which held inside the state secretariat of the party in Abeokuta included Chief Tony Ojesina, Prince Yanju Lipede, Dr. Remilekun Bakare, Alhaji Sarafa Tunji Ishola, Dr. Yomi Majekodunmi, Prof. DavidBamgbose, Hon. Isiaq Akinlade, Alhaji Rafiu Ogunleye and former speaker of the House of Representatives, Dimeji Bankole. But the state chairman of the party, Mr. Bayo Dayo, said he was not aware of the cancellation of the governorship primaries in the state. Meanwhile, the APC has postponed it's senatorial primaries in Ogun Central Senatorial district, while it was held peacefully in Ogun West and Ogun East Senatorial districts. The party earlier yesterday issued a statement stating when repeat primary elections for the House of Representatives in the three federal constituencies where the process was inconclusive. The Vice-Chairman of the Senate Committee on Environment and Ecology, Professor Benedict Ayade, has emerged as the governorship candidate of the PDP in Cross River State. Ayade's emergence as candidate followed his victory at the primary election after polling 752 votes to defeat five other contestants; among them Reverend Father Francis Eworo, who polled five votes; Joe Agi (SAN), 11 votes; while Mr. Peter Oti; and Mr. Emmanuel Ibeshi got no vote. Godwin Jedy Agba, who had pulled out of the race got five votes. There were nine invalid votes. Deputy Speaker, House of Representatives, Hon. Emeka Ihedioha has coasted home to victory in the governorship primary of the PDP in Imo State. Ihedioha polled a total of 346 votes to emerge winner in the election. He was closely followed by Senator Ifeanyi Ararume with 336 and Ikedi Ohakim with 213 votes respectively.